The Powers Memorial Library makes hotspots available for patron check out. Borrow one of the mobile WiFi hotspots to receive Internet access on the go or at home. These convenient, hand-held devices allow users to connect up to 10 devices to the Internet with no limitations on data. Adult (18 & older) cardholders in good standing, with fines no greater than $5.00 are eligible to check out a hotspot. Those that wish to check out a hotspot may either stop by the library or use the CAFÉ catalog to place a hold (search “hotspot” in the catalog) and check it out just like any other item. 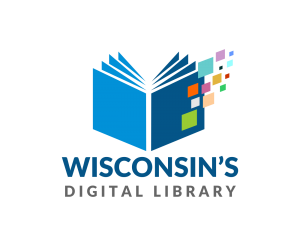 The hotspots can only be checked out and returned at Powers Memorial Library; they cannot be picked up or returned at any other library within the Bridges Library System. Hotspots may be checked out for 7 days and are available on a first-come, first-served basis. Additionally, you may place holds on the hotspots, but the library cannot guarantee their availability for a specific date or time. Hotspots are able to be renewed as long as there are no holds from other library users. 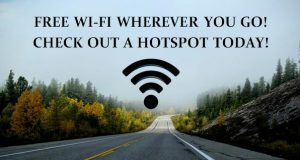 Overdue hotspots will immediately have Internet access disabled and there is a $1.00 per day overdue charge. A lost, damaged, or stolen hotspot will be a replacement cost of $80.00 + $15 processing fee. There will be a $10 charge for placing it on top of the AV bin during open hours and a $5 charge for returning it to another library. Additionally, for any part missing upon return there will be a $5 charge. Hotspots must be returned to a staff member at the Powers Memorial Library. You must return the hotspot with all parts (carrying case, charger, and battery). Please do not return in the book drop.